A common myth is that as we grow older we get much weaker and suffer more aches and pains. We have been told that losing muscle strength and gaining body fat are just part of the natural aging process. The fact is that many of the symptoms of what we blame on old age are really the symptoms of inactivity - of using our muscles less. Muscle weakness, bone loss, and a sluggish metabolism are changes that accompany aging but are not solely caused by it. If you suffer from an expanding waistline, declining strength and fitness, lack of energy, decreased brain power and feeling old and tired long before your time you could well be suffering from this condition. Modern day living with our technology driven lifestyles has channelled the average person into an increasingly sedentary and stressful existence with little opportunity to be physically active. Today, very few jobs require little more than sitting all day so most people get little exercise at work and even in their leisure hour's people watch TV rather than be active. We were designed and built for movement, and our bodies have not adapted well to this reduced level of activity. Exercise has long been linked to our health and well-being, but these days the benefits of exercise are even more important, not just for our physical health, but also for our mental well-being. A proper balanced exercise program is absolutely essential if you wish to remain healthy and disease free. At least 60% of this program should be strength training exercise which assumes even more importance after age 30 as everyone undergoes a slow process of muscular erosion from this age onwards. The effect of this loss of muscle mass and strength can be reduced or even reversed by adding as little as one or two sessions a week of strength training improving overall strength and endurance. Strength training also improves heart and blood vessel health and general well being and allows us to perform our everyday tasks and activities much easier. For many adults with sedentary occupations, physical activity provides a welcome outlet for job related tension or mental fatigue. 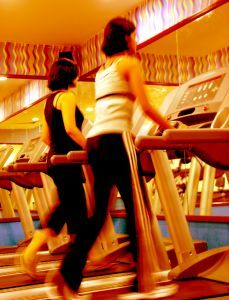 In addition to reducing tension in the body, vigorous exercise can boost spirits and help us feel good about ourselves. When we stick with our exercise program on a consistent basis, we have a more positive attitude about ourselves and life. 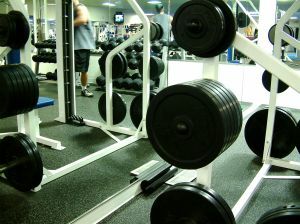 Exercise aids in weight control, and increases our energy levels so we can fit more into our day. Proper exercise can often prevent or correct lower back pain and give us better posture for a more youthful appearance. It has been proven over and over again that vigorous exercise is necessary to develop and maintain not only an optimal level of health but prevents much of the degeneration of bodily function and structure associated with premature aging that an inactive or sedentary lifestyle will cause. People often ask how to stay motivated over the long haul with their exercise program, but the fact is that lasting motivation comes from within. You are doing it for yourself to protect your own health. You need to accept that you must take responsibility for your own health and well-being as no one else can take care of you in this way. So, learn the skills to be your own coach and get yourself going and reap the many life changing benefits.